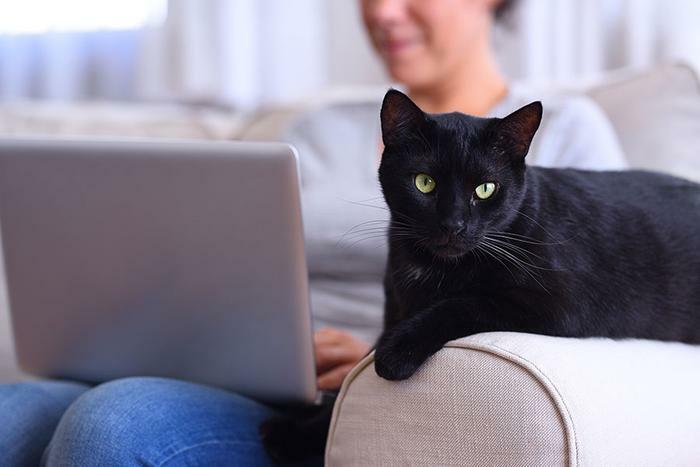 The FDA is warning pet owners to be particularly cautious as they turn to online retailers for products and particularly medications. While some sites represent legitimate pharmacies, the agency says they have found others that sell unapproved pet drugs, expired drugs, counterfeit drugs and products and dispense prescription drugs without requiring a prescription. According to the FDA, a major red flag to look out for is online pharmacies that do not require a prescription from a veterinarian before filling an order for prescription drugs. The FDA is especially concerned about two common prescription pet drugs sold on illegitimate sites: heartworm preventives (such as Heartgard, Trifexis and Interceptor) and NSAIDs (such as Rimadyl or Metacam). Veterinarians often prescribe NSAIDs to relieve pain in pets, but pet owners should not buy NSAIDS from an online site without the involvement of a trusted veterinarian. So how can you tell if you’re dealing with an illegitimate online pharmacy? Here are a few tip-offs. The website doesn’t end in “.Pharmacy.” You might be used to looking for the Vet-VIPPS seal on your pharmacy’s website, but as of August 2017, consumers should look for pharmacy websites ending in “.Pharmacy.” Websites that end in “.Pharmacy” are trustworthy, as they have met strict standards for enrollment. It doesn’t require a vet’s prescription. If the site claims that it will prescribe a drug after one of its on-staff veterinarians “evaluates” the pet after looking over a form filled out by the pet owner, it may be an illegitimate site. Not state-licensed. To ensure the pet medicine you’re buying online is safe, order from an outsourced prescription management service that your veterinarian uses. These state-licensed internet pharmacy services work directly with the veterinarian, require that a prescription be written by the veterinarian, and support the veterinarian-client-patient relationship.